Where are you measuring from? Don't say the ground to the fender. I didn't measure prior. It was a joke about the lift. 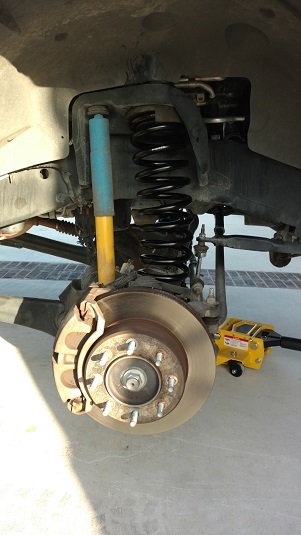 Did you change shocks at the same time, or springs only? Reloaderguy wrote: Where are you measuring from? Don't say the ground to the fender. Holy crap you only have 3" of up travel!? By "you" do you mean all Power Wagon owners? That was the OE setup. I probably don't need to tell you this but rubber compresses. Had some time today and grabbed a post install measurement. 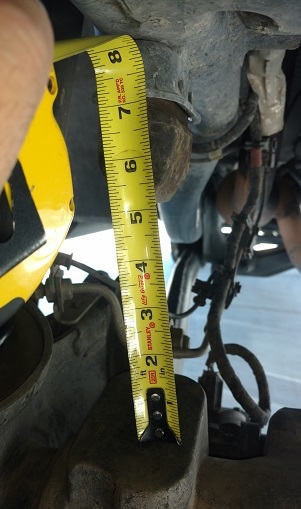 According to your stock measurement reloaderguy, there's the 1/2''. 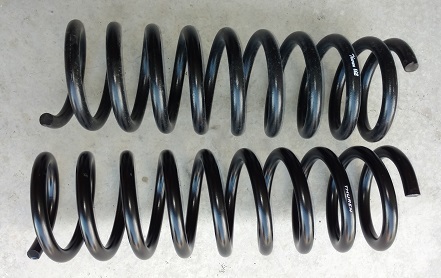 I just ordered the 1.5'' springs though they may still be on backorder. So, maybe I missed it. Too lazy to go back and read. What's the final verdict? Did the front come up any? 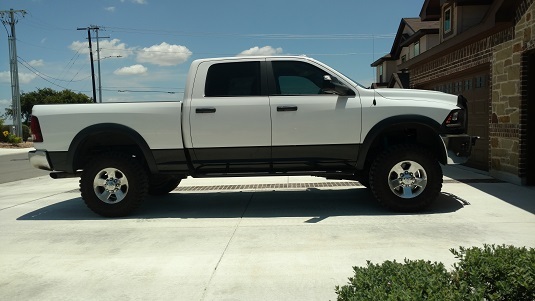 How's the truck look? Sounds like you're happy with the end results. Final verdict a definite 1/2'' lift. I am very happy with the fronts. I'm so impressed I ordered the 1.5'' front coils and rears which shipped today. After some research I'll place an order for thurens 2.5 king shocks next week. I'll take some pics and post them tomorrow. I think the .5'' coils would be perfect with the stock rears for towing/hauling. I can swap the fronts easily in about an hour so my plan is to keep both and experiment a bit. Sounds like the .5" coils would be right for me... if you decide to get rid of yours later, I'll put em to good use! We'll see how everything works out but will keep you in mind yellowranger if I decide to resell. Photo of the .5'' Thuren springs rake. Its hard to tell but there's definitely .5'' more up travel than stock. And the ride is much better. The front end flows over undulations compared to the stock springs. Nice. I'm debating between the .5 and the 1.5 now, since I have the steel bumper. If you want to maintain a factory like rake along with the plush ride that Thuren springs provide their 1/2'' springs will accomplish it. I'm going to install the 1.5'' springs next Friday and will post up results. That should give you an idea. That bumper you have looks light for a steel bumper and I say that in the best possible way . You have a full custom maybe even a few made nice bumper. ^^^ keep that opinion tucked away somewhere in your head. We're going to need it again in a few weeks. 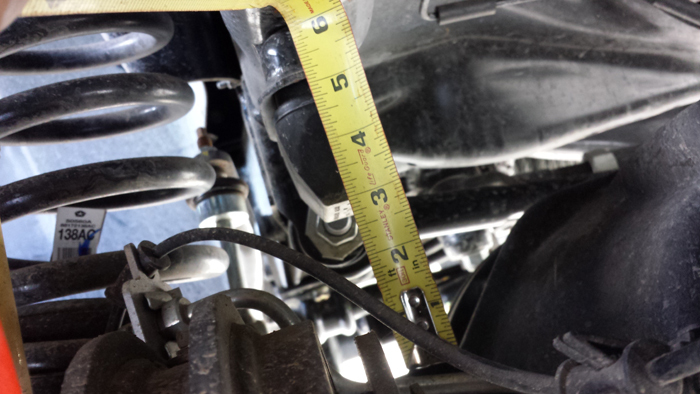 So did some measurements today, I think my front bumper is weighing things down. I'm 2 inches on that front bump stop right now with the stock setup. See what happens when I add the Thuren 1.5 inch springs tomorrow. MikeKey wrote: So did some measurements today, I think my front bumper is weighing things down. I'm 2 inches on that front bump stop right now with the stock setup. See what happens when I add the Thuren 1.5 inch springs tomorrow. 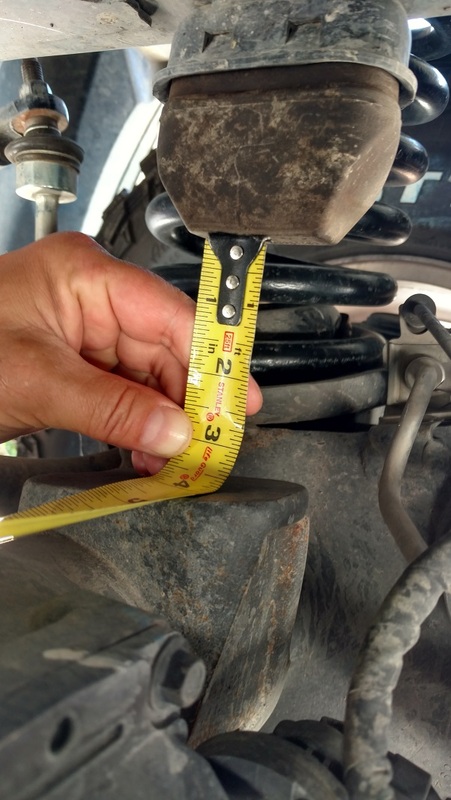 Don't measure to the bump stop, measure to the metal cup. The bumpstops have some varation and change shapes over time. I'll get another measurement off of mine. I thought you already had syn cable? These 'feel' like a lighter weight spring and the truck 'feels' nose high when driving it. There is actually a very slight rake, 44-1/4'' front, 44-3/4'' rear. 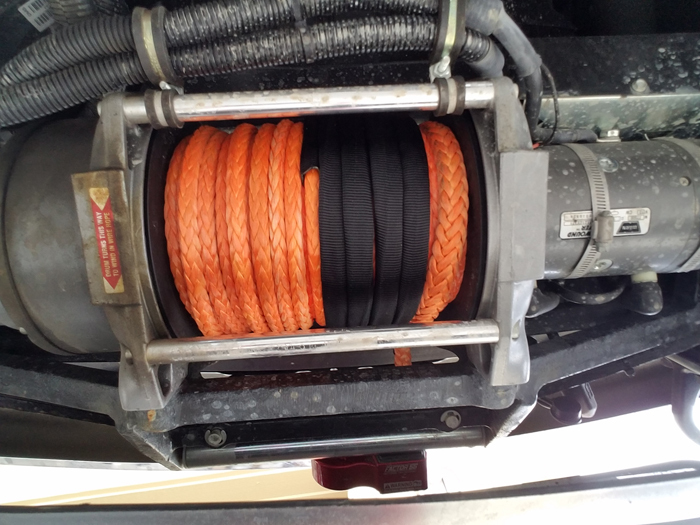 I would definitely suggest the .5'' spring for any towing duties. It feels like a heavier rate spring (the coils are slightly larger diameter if you're unable to tell from the photo) and retains a 2'' rake. Yup, was just about to post up. I installed mine today. My rear is actually sitting level. These raised the truck nearly 3 inches. I have the front bumper off right now. But for example, passenger side front went from 40 5/8 to 43 3/8 ground to fender on 55psi. And Wheel bottom to fender 34 1/8th to 37 5/8th. 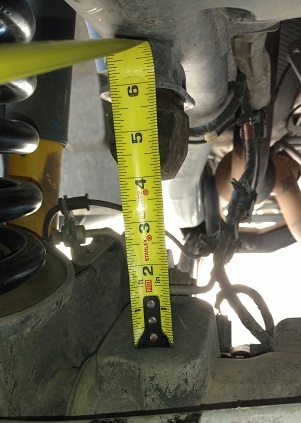 Bump stop went from 3 inches to 6 inches. Yep, crazy lift... the .5'' springs are definitely the way to go for towing or a mild lift on the PW's. I plan to get a professional alignment this week and see how it goes. Something to consider.. I had ZERO bumpsteer stock. I noticed a bit of bumpsteer with the .5'' springs and it's worse with the 1.5'' springs. Of course that's relative.. An alignment is due. My draglink looks perfectly aligned with the trackbar yet bumpsteer is increased. I should have taken more before/after pics and measurements. Has anyone run the newer Carli linear rate spring? 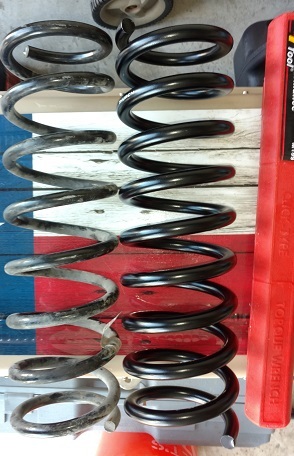 I think it is a diesel spring also. How does it compare to the thuren? Not yet but I plan to try everything . I noticed that as well. It's worse because I have the sway bar disconnected. I need a new alignment as the shop has mine binded up and I still haven't gotten back around to getting another. I'm going to go ahead and get 37's this week and an alignment after that.